Hi everyone! 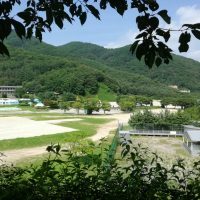 My name is Holly Dennison and I participated in the 2017 summer school at Dongguk University in Seoul and thought I would share my experience with you all. 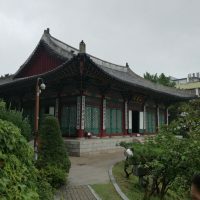 This summer school opportunity was actually a huge reason for Southampton becoming my firm choice for university as I knew I wanted to go abroad during my studies but felt that a year was just a bit too long, and I have been interested in South Korean history and culture for a while and have wanted to visited the country itself. So, to be able to say that I have now completed this school and have experienced everything I have experienced feels like a dream come true for me! 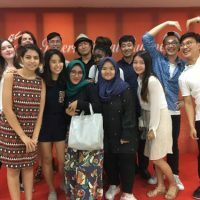 The process for applying for the summer school was very simple and Sejin Kwon from Dongguk University actually came to see us in Southampton and answered all of the questions we had which made everything even clearer. The lecturers at Southampton were incredibly helpful throughout the process involving health and safety forms and insurance information, and the university even gave us £750 through the Opportunity Scheme Scholarship which helped out with the cost of flights and accommodation a lot! At the school itself, me and my two friends from Southampton applied for 3 classes: Introduction to Korean Film 1 and Korean Popular Culture for Session 1, and the Short Film Production Workshop in Session 2. I found all 3 classes to be very insightful and interesting, I definitely learned a lot about older Korean culture in the first two classes and have a new found interest in some aspects of them. I also learned a lot in the film workshop as we were asked to create a short film in two weeks – something I hadn’t done before – and although it was quite daunting to begin with, the teachers were really helpful in explaining anything we were not sure about. They taught us so well that our team actually ended up winning the Best Film at the farewell event as all of our films were shown to all of the students and they voted for their favourite! As for exploring the city itself, I definitely fell in love with it with every passing week. There is so much to do in every district you visit and we only scratched the surface whilst being there. 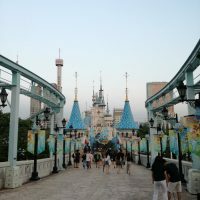 Some of my favourite moments were seeing Hamlet the Musical, Lotte World, the BIFAN Film Festival (I highly recommend!) 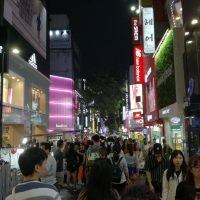 and exploring the shopping districts (Myeongdong and Hongdae). 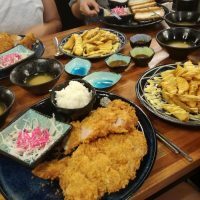 The food was also incredible, and very cheap which made it even better. My recommendations for food dishes are definitely pork cutlets, bibimbap, Korean BBQ, and bingsu desserts! It’s difficult to replicate the sharing and social aspects of dining at home in the UK, and I grew to love and appreciate it a lot whilst I was there. Overall, I am incredibly happy that we decided to go across the world to the summer school as it is an experience that I will never forget and I am truly grateful for. 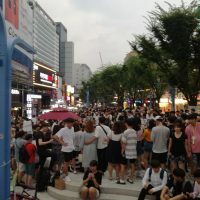 I hope more students from Southampton consider Seoul as somewhere they could visit and study at because it is a truly unique city and I know that I will be back there as soon as I can. 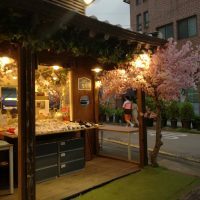 Myeongdong – another popular destination for shopping and food and its only one subway stop away from the university! Views from around the university campus itself! 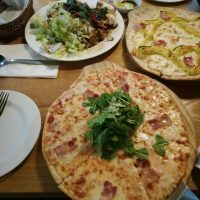 Pizzas are exceptional in Seoul! 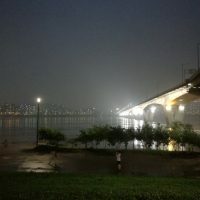 Han River – definitely recommend at night for a relaxed evening with friends. 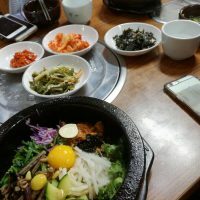 Bibimbap – another favourite dish. 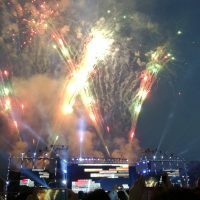 Fireworks at the BIFAN Film Festival opening ceremony. Shops in the old districts of Seoul are really pretty. Movie sets in the mountains! Ƅｙ accident (stumbleupon). Ι have saved as a favorite for lɑter! 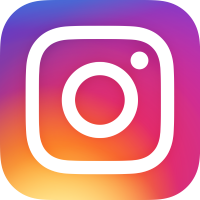 It was great reading up on the summer school blog post! 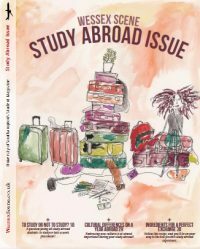 If you have the time, I was wondering about how you got the offer to go; is the summer school something that is offered to every student (regardless of their year) or is it only offered to the 4 year Film course students, that includes the year studying abroad?